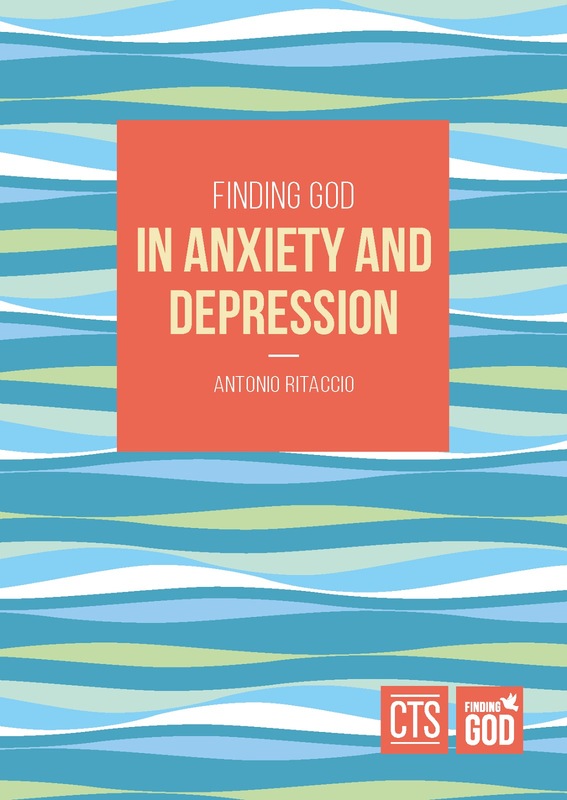 This little booklet is an excellent resource. I just finished reading it twice. I was reading it with my son when my oldest daughter came in. She asked if we could read it once I was done. And when my youngest gets home I have a feeling I will be reading it with her also. I I actually purchased this book a few years ago. It arrived to late to begin that first year. Last year it was buried on my desk, and this year my son kept asking me if we could read it. And Now we have. I wish we had read it last year, and now each of my children want their own copy. I just wish there was an eBook edition so they could each have it on their Kindle. This is a small volume of just 24 pages, but it does a great job of presenting the information concisely. The book if written for children, Teens can read it themselves and younger children can have it read to them. There is a great section about not making what you give up too hard, and also not making it too easy. It also has a great balance between what we do during lent, and what we refrain from doing. I recall picking up this collection in hardcover on a bargain table at a book store shortly after the paperback edition came out. At the time I was a student at Queen’s University and love the collection. For many of the contributors it was my introduction to their works. I read the book twice that year I believe. 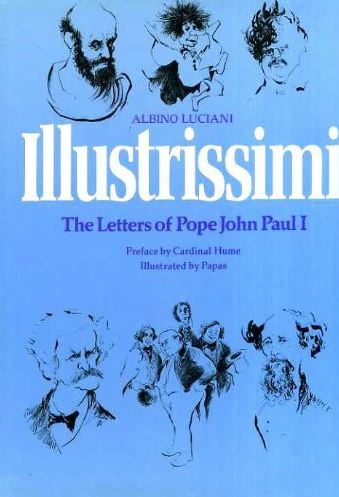 Later that year wile living in a rectory I loaned the book to a seminarian and never got it back. Haunting, that is the only way I can describe the short story. I read a short story years ago, back in the late 80's I had a collection of short Catholic Fiction, I read it ad enjoyed it, but there was a particular story that has haunted me. I can only describe it that way. Yet I no longer had the book. It was lent out and not returned back in the early 90''s and yet this story would come to mind again and again over the years. I did not know the author of the story, the editor of the book, all I could remember was that the book had a black cover with yellow writing. A few weeks ago I was at a retreat at Mount Carmel Monastery in Niagara Falls, and this story came to mind again. So I decided to try and find it. I did searches on Amazon.ca and Chapters.ca and tried to find the book. I searched '`Catholic'' and 'fiction'' also 'Catholic' and '`Short Story'' and tried many other searches. Nothing matched what I remembered but there was a book from 1984 that they did not have a cover image for The Substance of Things Hoped For edited by John Breslin S.J. so I interlibrary loaned the book at school and found the story I was looking for. It was called, The Warm Sand by J. F. Powers and was very much what I remembered. I also found out that it had been made into a novel that won the National Book award in 1968 so I am now reading the book Wheat That Springeth Green of which the short story is chapter 6 in the book almost exactly. I have posted the Short Story as the post before this one and would love your take on it. I have my prie-dieu and at times it has been used, but not as much as it should. Check out the story and tell me what you think. Crucifixus Etiam - Walter M. Miller, Jr. There are some very powerful stories in this collection. The Warm Sand by J.F. Powers as mentioned has stuck with me for years. Other stories that stick out to me in particular were Mothers, by Shusaku Endo and The Enduring Chill by Flannery O’Connor which were both about the power of Mothers over sons. There are some that were a shock, both when I first read the collection and again rereading it now for example Hot Ice by Stuart Dybek. Today I make a distinction between Catholic writers, Catholics who write Catholic stories, and authors who write Catholic stories. To some extent all three are represented in this collection. And some authors may even have works in more than one of the three categories. Another interesting piece of this collection is the author biographies. These biographies provide some interesting information and also serve as a time capsule. As of the writing of this review in 2019 only 5 of the 21 contributors are still alive. For Powers it states he has 3 collections of short stories, the years after this collection was published, he published his second and final novel both of which won the national book award. This collection has a wide range of stories, from a diverse group of authors. 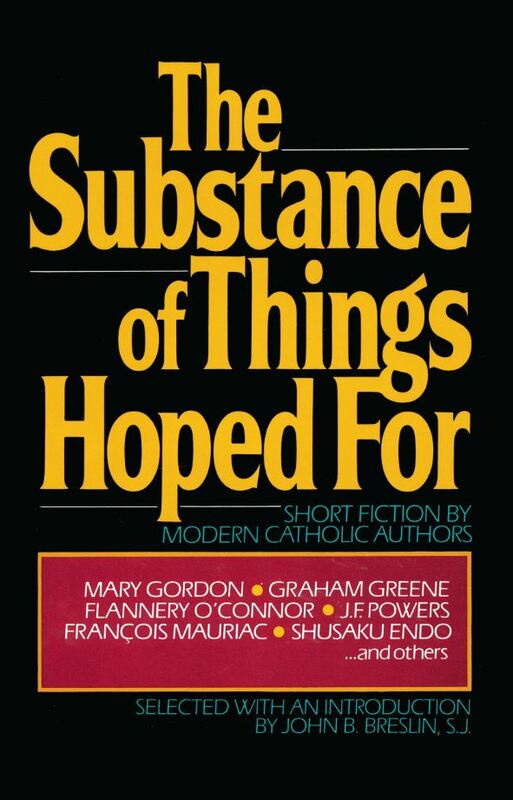 It does a great job of providing a snapshot of Catholic fiction from the last century. It is worth the time to pursue and if you do give it a read I would love to know what stories have an impact on you. My children and I absolutely loved this book. Even my oldest who is almost 13 appreciated the story and message. This story is a delight. In will inspire children to use their creativity to serve God. Examples are given of story tellers, musicians, vocalists, actors, and more. All of the arts are presented in some fashion in this book. 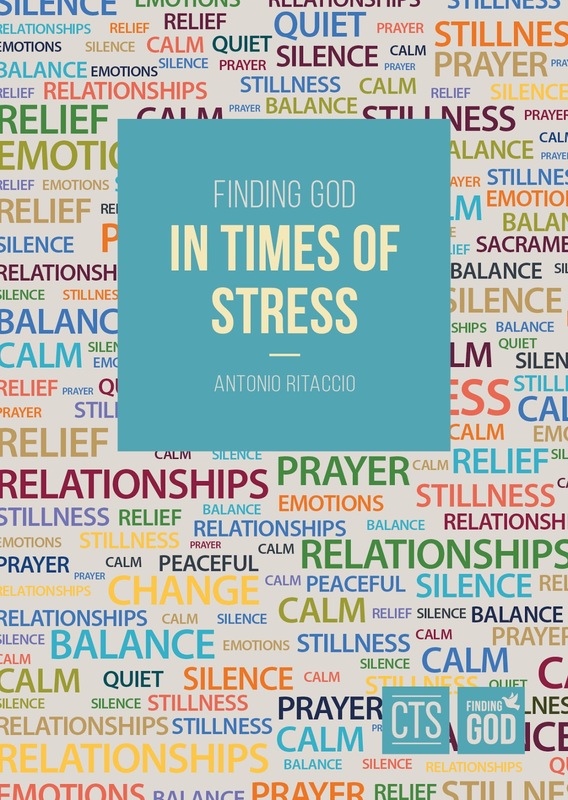 And we are reminded that all can be of service to God. The book is part a history of the story tellers from the old testament. And then it turns to examples of Jesus as storyteller. 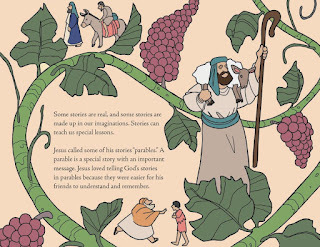 Then it moves on the new testament stories, like Jon the Baptist, and Jesus bring lost in the temple. 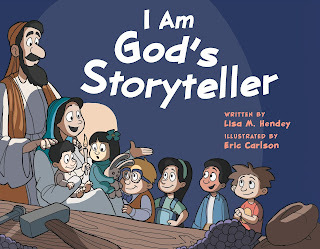 And then it challenges us to use our talents to be story tellers for God. My children have made up plays, and written songs, put on performances, and even written stories. 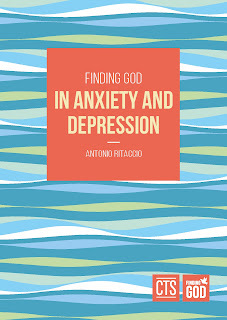 This book affirms them in their creative passions but reminds them to use those gifts for God. It is a wonderful overview of salvation history. 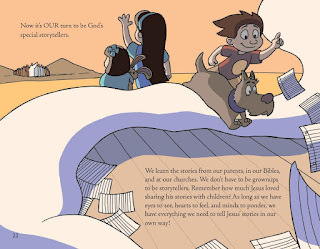 The story of salvation, and our call to be story tellers ourselves. In some ways it reminds me of Calvin Miller’s The Singer and The Song but geared at a much younger audience. The book is wonderfully written and excellently illustrated. It would be an excellent addition to a home, school, or church library. 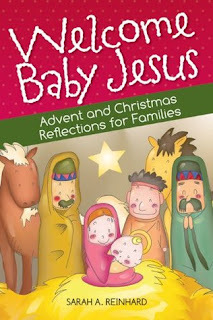 A great read and am instant family favorite. I have now read books from the CTS Christian Shrines Series 12 times over the last few months. I have been absolutely loving this series. So far, I have been focusing on the two main styles of books. Pilgrimage companions and books focusing on the message from the shrine. And have been alternating back and forth between the two types. But I had some trepidation about reading this volume. For I have always had a specific interest in the Way of Saint James. I did a fourth year seminar when in university on this pilgrimage, and have read extensively on it previously. But I should not have been concerned for I have loved all the books in the CTS Christian Shrines Series that I have read and this one is one of the best. I have long had an interest in Pilgrimage. I have written about personal pilgrimage, and desire for pilgrimage previously. But of the books I have read in the series this one is different than any of the others. And that really is a great summary of this book. It is an excellent work. It could serve as a great guide for those who wish to learn more about this pilgrimage. It could be used for study or meditation. Or just as an introduction. 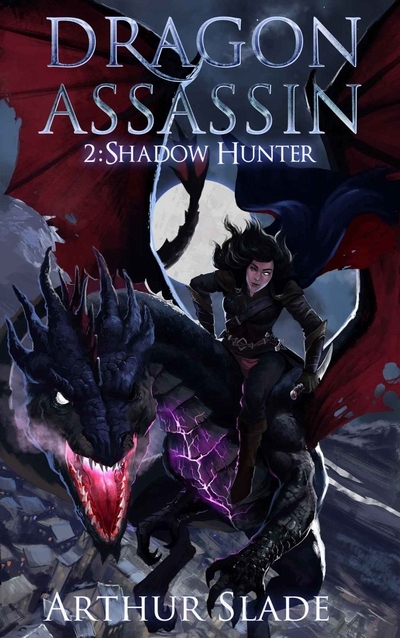 I have been loving this series, and as stated this is one of the best in the series. There are also several other books from CTS that could support your quest for knowledge on pilgrimages and Christian shrines. But this volume on Santiago is a wonderful read. I look forward to exploring more in the Christian Shrines Series. And highly recommend this wonderful series and specifically this book on the Pilgrim Way of Saint James. I need to admit that read this book and writing this review are not easy tasks. 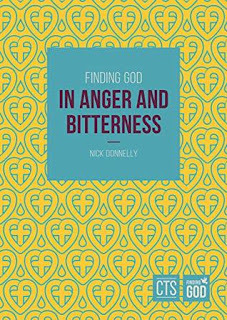 I feel that I have struggled with both anger and bitterness for as far back as I can remember. It is not an easy thing to admit, or to start working on. 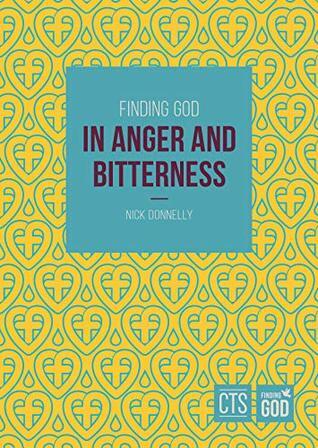 But this little volume by Reverend Nick Donnelly is an excellent starting point. Reverend Donnelly draws from a wide range of sources like J.R.R. Tolkien, Michael O’Brien, Jordan Peterson, Dietrich Bonhoeffer, the Catechism, the Compendium, numerous saints, christian authors and many others. In this concise volume there are 57 references to source materials and examples. There is much I learned while reading this book. This was an excellent read. And one that I really needed. I look forward to reading more in the ‘Finding God Series’. But now I have three different series from CTS on the go. One Why Do You Love Being Catholic? Two What Is Your Favorite Memory as a Catholic? Three As a Catholic, What Are Your Hopes for the Future? The answers rand from a single sentence, to several paragraphs. And the answers as a diverse as you would expect from asking a hundred people such open-ended questions. It was a great book to read through, at times I felt inspired, at times encouraged and at times just empathy for the story being shared. 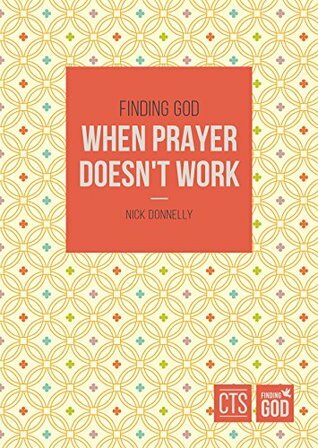 I could see this book being used in the recruitment of Dynamic Catholic Ambassadors. I could also see it as a bathroom reader, just pick it up every time you are there and randomly read a story or two. Or keep it by your bed site table or prayer corner for when you need a little inspiration or motivation. 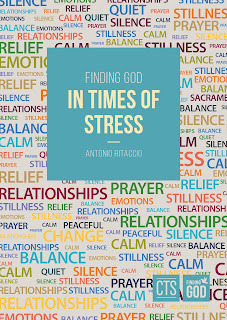 This is a book I could not see myself reading through from beginning to end again but could see my self flipping through and reading a story from time to time. Overall a good read but definitely a niche market. I love the works of Arthur Slade, he is one of my favorite contemporary authors and maybe my favorite living Canadian author. 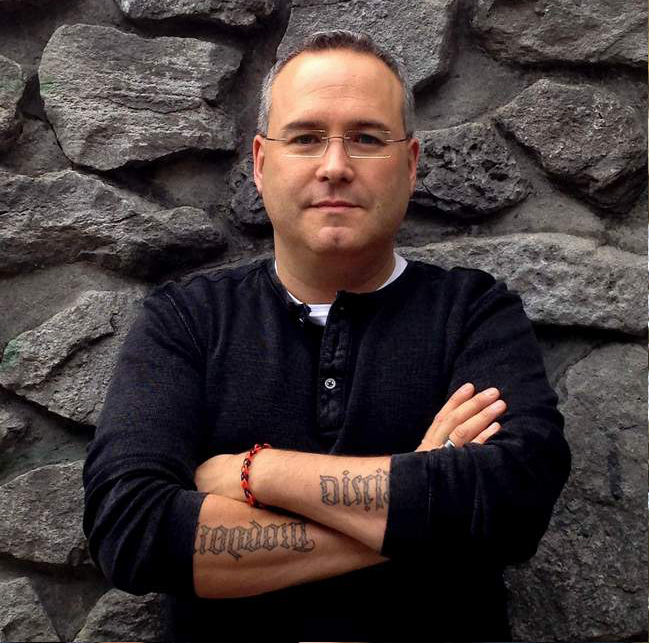 I began reading his books back in 2002 while working as a bookseller. 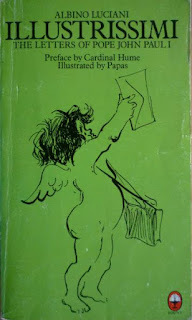 That year I read Dust and Tribes and started tracking down some of his older works that at the time were out of print. 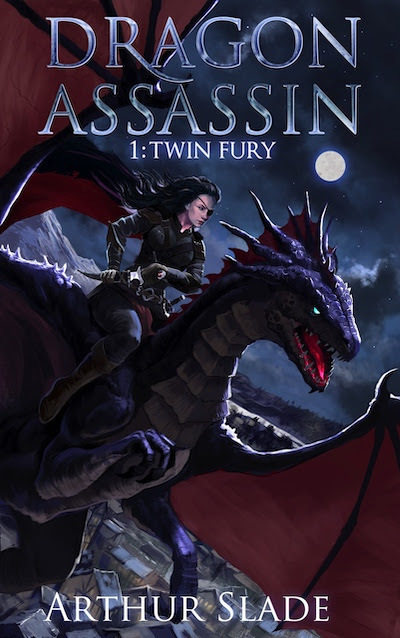 But this new series Dragon assassin is proving to be among his best works yet. And with the planned release of a new story each month this year we are in for some excellent reads! I mentioned in book one that the characters and to some extent the story reminds me of Roger Zelanzy’s Amber Chronicles. And I still have that feeling, but this story is taking its own path. The characters are very well written. There is an emerging friendship, and a potential for a love triangle. This book is pure fantasy. The plot proceeds at an excellent pace, and leaves readers desperate for the third installment. It is excellently written, and I give it top marks. A great read in what is shaping up to be an incredible series. Well done Mr. Slade, well done! This book was first published in 1976 in Italian, it is a collection of fictional letters, written to people from history, from the pages of books, and even from plays. 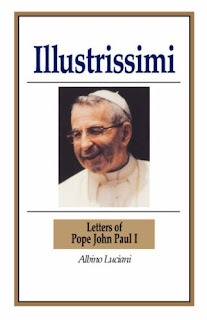 The English edition was commissioned after the election of Albino Luciani to the chair of peter where he took the name Pope John Paul I. currently this is available as an eBook in a few different languages, but alas not in English. If you are English speaking it is well worth tracking down. While reading it I could not help but feel the penetrating insight, and how applicable the message in many of the letters are for today. Maybe even more so today. Over 40 years after his election to the Pontificate and death shortly there after. The volume I read has a wonderful preface by Cardinal Basil Hume, and was translated by Isabel Quigley. In other words, there have been bad popes, bad priests and bad Catholics. But what does that mean? That the Gospel has been applied? No, just the opposite. In those cases the Gospel hasn’t been applied. 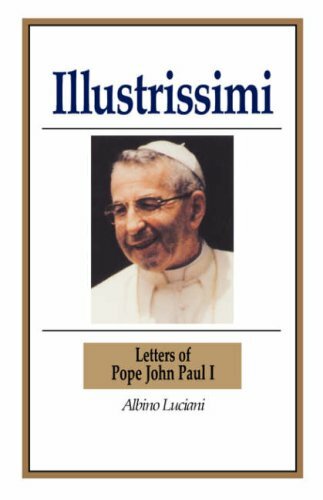 “When I agreed to write the Preface to the English edition of the ‘Letters’ written by Pope John Paul I when he was Patriarch of Venice, I little thought that before I had completed the task we would be mourning his death. This totally unexpected loss, and the sorrow it brought to millions of people throughout the world, naturally means that I now approach this task with very different thoughts and ideas from those in my mind when I accepted the publisher’s invitation in mid-September. And it is true some of the letters are deeply amusing. Some piece to the bone. Reading this collection has been both inspiring and a challenge to me and how I live my life. It is an incredible collection and I wish it was still in print or that an English eBook edition would come out. But no matter how you lay your hands on this book I challenge you to give it a read. 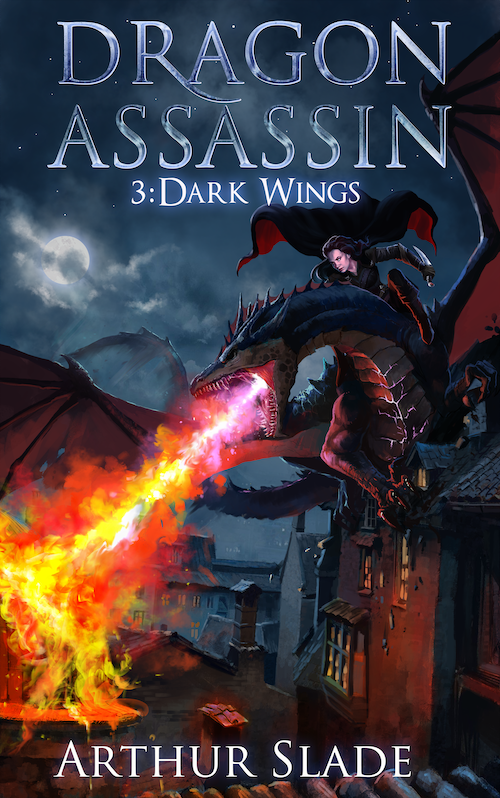 Update: there is an English edition available from Gracewing Publishing in the UK. I hope those few quotes will give you some insight into how great this book is. And that they will inspire you to pick it up and give it a read. This book is one of those pivotal books in a reader’s life. It is one of the best leadership or personal development books I have read. It is a book that I would add to my list of ‘Life Changing Books’. And one I know I will return to and reread again and again. Always looking to work on improvement, striving not for perfection but for perfect effort. It is an incredible read and I challenge you to read it and see if it can help transform your life and help you lead by that example. The 247 Journal pages each have quote at the top of the page. Some are by the author, some contributed but unattributed, many from the bible and the saints, popes and even one from Dietrich Bonhoeffer. few are taken from literature, for example William Shakespeare, Henry Wadsworth Longfellow, Oscar Wilde, and Blaise Pascal. The introduction reminds us that “Remembering one’s death is an absolutely essential aspect of the Christian life, not only because it helps us to live well, but also because it helps us to remember what Christ has done for us. Jesus trampled death!” The section on how to use this journal outlines four ways it can be used other than just as a journal. How to use it to journal with intention or a plan. This is a beautifully crafted hard cover journal. And when you combine the quality of the construction with the ways to use it, and the quotes to inspire thoughtful reflection it becomes even more of a treasure. 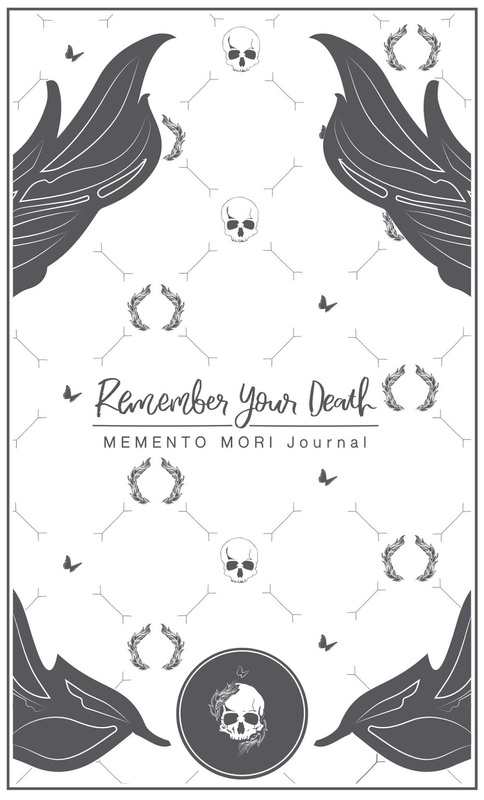 I am sure anyone blessed with a copy of this journal who uses it will be blessed. My only wish is that an eBook edition would be released for those of us prefer an electronic library and who keep electronic journals. I feel I will be transcribing the quotes from the book to my eJournal as lent proceeds this year. But even with that personal wish, I cannot think of a single reason not to recommend this volume. 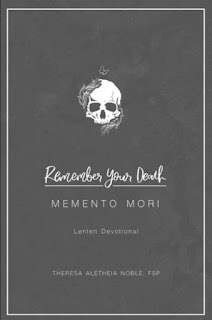 Especially if you will use it in conjunction with the Lenten Devotional. An excellent toot for helping you to grow in your faith. It will help you remember your death; and live better now while doing so.